Published in the book The Giant Book Of Games For Your BBC Micro from Fontana Publishing. 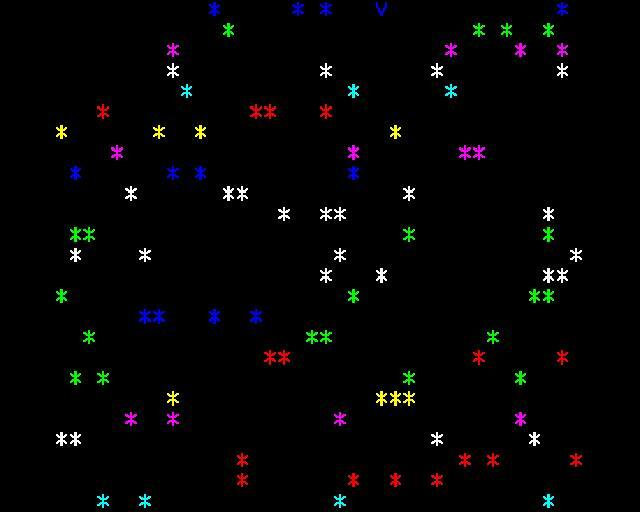 Here's a neat little program in which you must pilot your V - Wing spacecraft through a field of asteroids. You use the 'X' and 'Z' keys to move yourself right and left. At the end of the game (when you hit an asteroid) you'll be told the number of 'light years' you have managed to traverse.